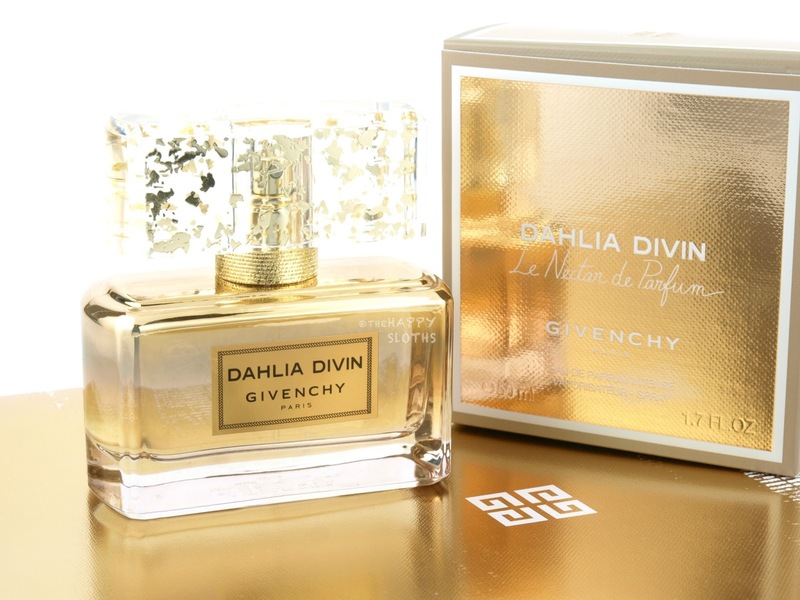 Givenchy Dahlia Divin Le Nectar comes in a rectangular glass bottle sheathed in an opulent gold ombre tint. 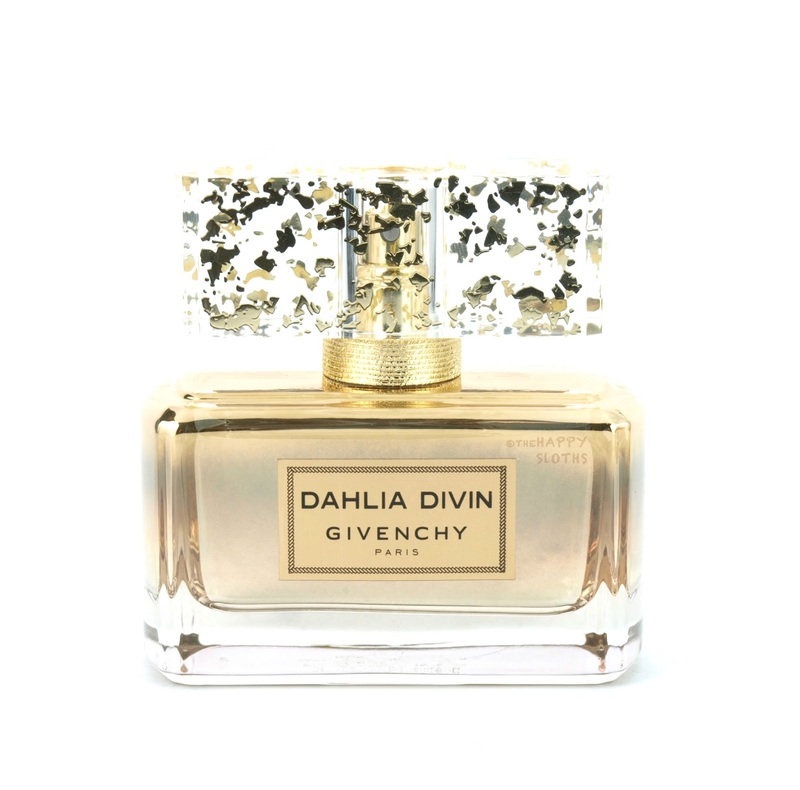 The front has a chrome plate bearing the name of the fragrance and the neck of the bottle is adorned with sparkling gold twine. To make things even more festive and luxurious, the clear acrylic cap is embedded with shiny gold leaves. 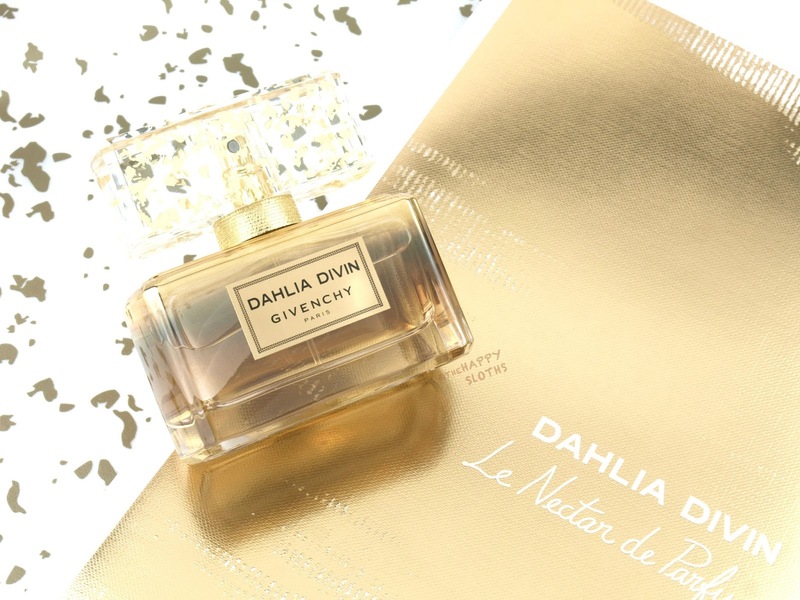 Opening with the refreshing sweetness of mimosa and an added dash of creamy vanilla, Dahlia Divine Le Nectar de Parfum quickly envelopes everything with a warm, smoky woodiness. The scent is very potent and long-wearing so even just a couple of spritzes is enough to last the day. As the perfume slowly wears off, the florals become a bit more salient but still well-balanced with the warm vanilla and the yummy tonka beans. Overall, I absolutely love this scent! It's like your classic warm fall and winter perfume but with an exceptional blend of vanilla musk and refreshing florals. Givenchy is available online and in stores at Sephora and The Bay.